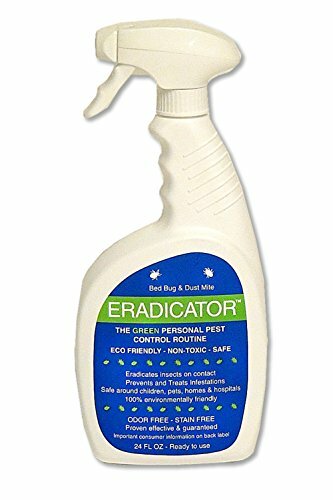 ERADICATORTM is an all-natural, 100% green product that effectively controls bed bugs and dust mites.The all natural active ingredients in ERADICATORTM (see back label for listing and breakdown) eliminate bed bugs, dust mites and other insects. 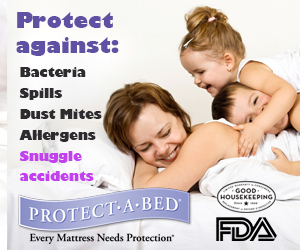 The non-toxic formula eradicates all strains of bed bug infestations, even those immune to the toxic chemicals (usually Pyrethroids, which are a synthetic Pyrethrum and a neurotoxin) While highly effective, ERADICATORTM contains no harmful chemicals making the product safe to use around children, pets and any place people live and work. ERADICATORTM is also effective against household pests such as fleas, ticks, chiggers etc. 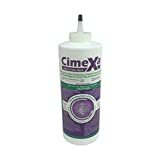 Cimexa insecticide dust is labeled for control of bedbugs, fleas, ticks, lice, roaches, ants, Firebrats, silverfish, spiders & mites. It may also be used for the prevention & Treatment of dry wood termites. The broad label allows the product to be used to treat cracks, crevices, voids, mattresses, carpets, pet rest areas, attics & many other areas. The engineered silica-based dust has exceptional absorption of water(in liquid form) & oil, destroying the insect's waxy cuticle, causing rapid dehydration & Death. The standard usage rate is 2 ozper 100 square'. 4 oz of cimexa insecticide dust inside of a larger bottle. This allows you to use the bottle as a puffer.